Sciblogs | Would you like something scanned with an electron microscope? Would you like something scanned with an electron microscope? Of course you would! Who wouldn’t? And have it you can. As I came into the work this morning, blearily clearing emails as I attempted to mainline some caffeine, I came upon an email most arresting. From an American company, ASPEX, it said that the company in question had a bit of an offer going at the moment: anyone who sent them a sample could have it photographed, for free, using a scanning electron microscope* (SEM). The campaign, entitled Send Us Your Sample, takes your sample, makes stunning pictures using said sample, and posts them online for the whole world to see. And marvel at. And they’ll send you an email as well, just so you know it’s up. Now, for those of us in New Zealand, I’d suggest being a little careful in choosing your sample – I have a sneaking suspicion that anything plant/animal-related might get stopped. For obvious reasons. 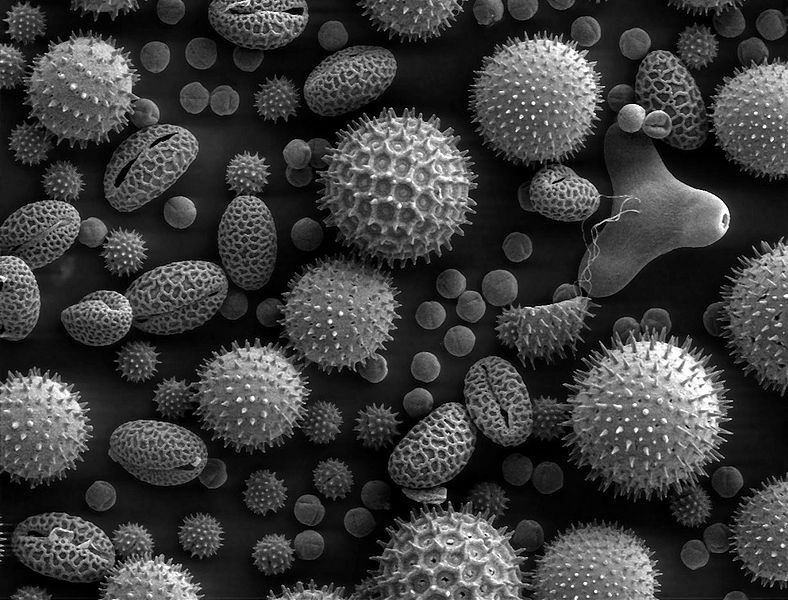 Luckily, biological stuff isn’t the only thing that looks brilliant under SEM: just about anything does. Sadly, I have lost the images I took during my degree’s third year. Well, I haven’t lost them, but they’re in a book (probably) in Dubai. Probably. Anyway, it was great good fun to play with. We were looking at actinomycetes, and in particular, were hoping to to find a novel antitubercular one. We didn’t. And as for the antitubercular bit? Well, actinomycetes are most famous for their ability to produce antibiotics. Like penicillin (that blue bread mould again). And antibiotic-resistant tuberculosis is a major issue in Africa. Hence looking for a new one. Anyway, at the end of it all we needed to take pictures of our chosen actinomycete, with an SEM. This was quite an interesting challenge, as we were trying to take nice clear pictures of the tiiiiiiiny filaments which make up the structure thereof. The only problem being, that focusing too intently on a filament would destroy it – they’re actually fragile enough that a beam of electrons would destroy them! Fun stuff. * If you’d like to see what cool machines look like in real life, have a look at some of ASPEX’s Scanning Electron Microscope range.